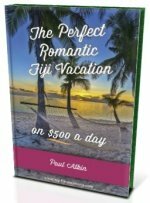 Want to find out about Malolo Lailai, also known as Plantation Island Fiji? Discover this tropical island paradise fit for the perfect island getaway. Plantation Island is better known as Malolo Lailai (little Malolo). It's a wild stab in the dark here, but I'm guessing little Malolo since it's the second biggest island in the Mamanucas with the biggest island, Malolo, right next door. True to form in the Mamanucas, expect beautiful warm dry weather all year around and stunning scenery. Since 1872 when Nadroga chief Ratu Kini sold the uninhabited island to a foreigner, it's had a few change of owners and a history of growing cotton then coconuts, which is probably where the name Plantation Island comes from. Today there still is 400 acres used for organic farming and a coconut plantation which supplies the resorts. Being the most developed island, it's also the centre of tourism for the Mamanucas. 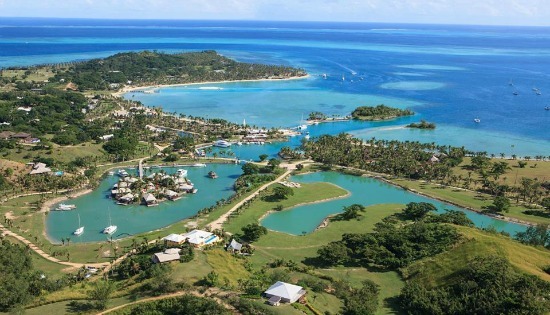 It lies 20km west of Nadi and comprises of four resorts, residential houses, a marina, and a 9-hole golf course on it's 2.4km² piece of paradise. Musket Cove Marina is where yachties flock to. Reportedly having excellent services where you can moor your boat and stock up for the next trip. 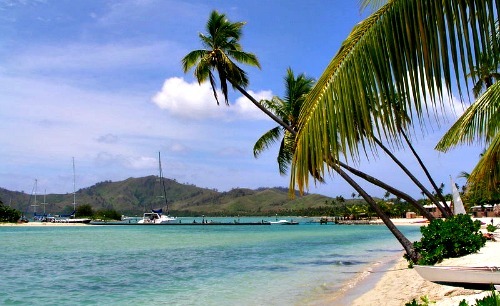 In September it holds Fiji Regatta Week and the Musket Cove to Port Vila yacht race. Other amenities includes a convenience shop, tourist shops, and five restaurants. There is another option, a timeshare facility Malolo Lailai Lagoon Resort. There's an airstrip on Malolo lailai which also services Malolo. Pacific Sun has services to here from Nadi. Airplane, seaplane, and helicopter charter services are also available. The resorts jointly use a high speed catamaran service, Malolo Cat, which operates four times daily to/from Port Denarau. This is the more popular option. Visit the Transport in Fiji section for all the information. The recommendation is to use the full screen mode by clicking 'View Larger Map' here or directly below the map.